I can't believe I'm going to say this, but I'm glad you didn't put a rear spoiler on your car. That would have taken away from your hockey stripes. Your car really looks good. Love the TorRed color. 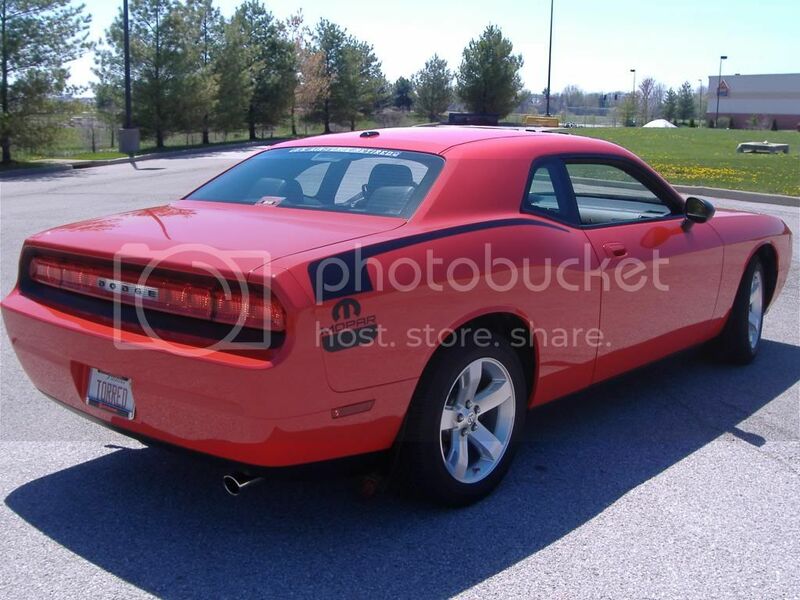 I want to add a Challenger HC to the family and it would certainly be TorRed for me. I have the Redline on mine and love it. I love the Torred too. They are both unique in their own way. The Redline looks dark in the shade but gets bright in the sun. When the sun reflects toward you it POPS due to the flake and pearl. It is almost like having three colors in one. It is absolutely beautiful but to be honest if I had the Torred I probably would like it just as much. As already stated the Torred has a orange tint to it. Keep in mind unless you have a color calibrated monitor, you will not see the true color that you are looking at on a computer. I have seen the the Redline Red Tri-Coat Pearl and it is a beautiful color. You won't be disappointed with it. In fact it would be my third choice, with Plum Crazy first and B5 blue second. Last edited by PlumCrazyHellCat; 02-19-2016 at 09:15 PM. I don't know why some pictures show the Redline looking more of a burgundy color. Here is my Redline along with my Ranger, which is Redfire, a darker red but not anywhere near burgundy. I have owned both. I think I prefer the Tor-Red, it's a bit more bold, but it's a personal preference.